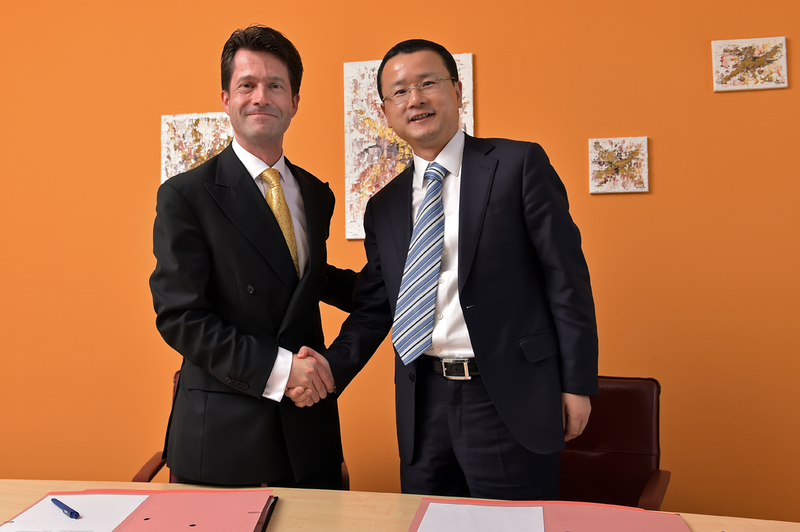 Hengtong, a global supplier of cable and system solutions for the telecommunications and energy sectors, and Leoni, a global provider of energy and data management solutions in the automotive sector and other industries, plan the joint production of single mode fibres for telecommunications and data networks in Jena, Germany for the European market. To this end, both companies have signed a framework investment agreement to establish a joint venture, and intend to create additional jobs. The joint venture will be founded after approval by the relevant antitrust authorities. “The transmission of signals via single mode fibres is a forward-looking technology. It enhances our strategic positioning as a technology partner for intelligent data transmission solutions. By expanding our manufacturing competence we expect to strengthen our Fiber Optics business to serve the increasing European demand for single mode fibres,” explained Bruno Fankhauser, member of the Board of Directors of Leoni AG with responsibility for the Wire & Cable Solutions Division. “The establishment of the joint venture in Germany and the accompanying expansion of our business activities in Europe are a perfect fit for our ‘5-5-5’ internationalisation aim. In Leoni we have found a strong and reliable partner to produce single mode fibres directly in Europe and sell them in the European market,” said Jianlin Qian, Chairman of the board of Hengtong. The expansion of broadband in Germany and other European countries and the growing demand for data centres require high-performance single mode fibers as a key element in optical cables. Leoni and Hengtong are combining their strengths in order to service this growing demand. Leoni is a global provider of products, solutions and services for energy and data management in the automotive sector and other industries. The value chain encompasses wires, optical fibers, standardised cables, special cables and assembled systems as well as intelligent products and smart services. As an innovation partner and solutions provider, Leoni supports its customers with pronounced development and systems expertise.